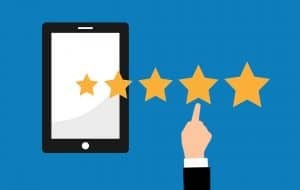 Online reviews are a big source of stress for many small business owners, but they don’t have to be! While it’s true that negative reviews can hurt your business, there’s actually a lot more to it than that. Read on to learn why online reviews are so important, and how you can make them work in your favor. Reviews affect local SEO – Online reviews affect how search engines rank your business on their result pages. 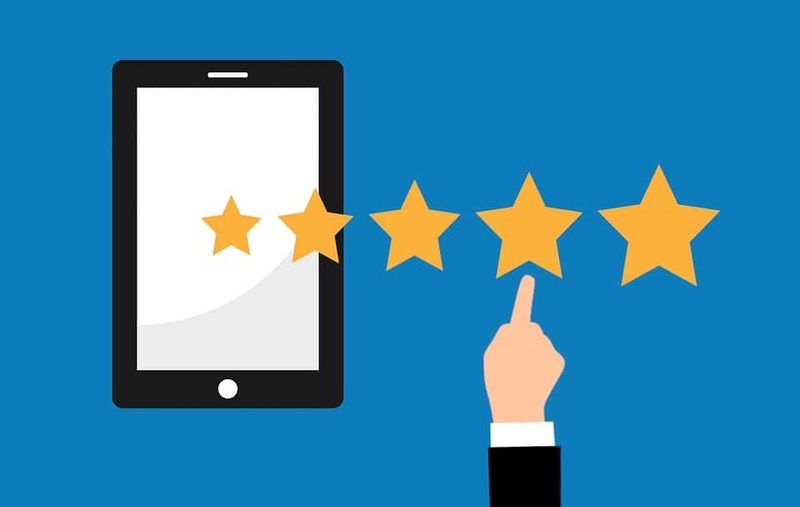 They affect sales – It’s a known fact that customers spend more money at businesses with 4 star or higher reviews than they spend at businesses with low reviews. 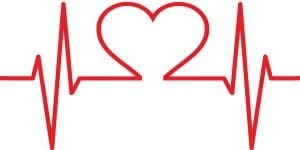 You should care what your customers think! – How your customers feel about your business is generally an indication of how you’re doing as a business owner (mostly). Make it easy – Display signs (or even better, QR codes) to the site or sites you’re trying to get good reviews on. Simply directing your customers to a review site lets your clients know that you care about your reviews. Turn Your Negative Reviews into Positive Reviews – Even if you get a negative review, you can turn it into a positive! How to respond to criticism shows your customers that you care and can improve your brand perception. Of course, to get good reviews your skating center needs to be well-stocked, and we have the skates and rink equipment you need to keep your rink running smoothly. Spring is just around the corner which means it’s time to tidy up! Here are some tips for rink owners on how to clean rental skates as the busy season approaches. Cleaning and lubricating the bearings of the skates periodically saves you money by extending the amount of time before they have to be replaced. To do so, first remove the bearings from the wheels. Next, use a safety pin to remove the rubber shield from the bearings and place the shields in a small glass. Add warm water and a drop of soap in the glass, cover it, and shake the glass. Rinse the shields off and set them aside. Use the bearing cleaning unit that came with the skates filled ⅓ of the way with isopropyl alcohol, slide the bearings onto the axle of the unit, screw a wing nut onto the end, insert the axle into the bottle, screw it on, and shake the bottle. Repeat this step one or two times if they don’t get completely clean the first time before drying the bearings with a lint-free cloth. Finish by lubricating the bearings, putting them back together with the shields, and inserting them back into the wheels. Doing these two things will greatly improve the look and function of your skates, so hop to it! Contact us at Southeastern Skate Supply to purchase any materials needed to help keep your skates in tip top shape. 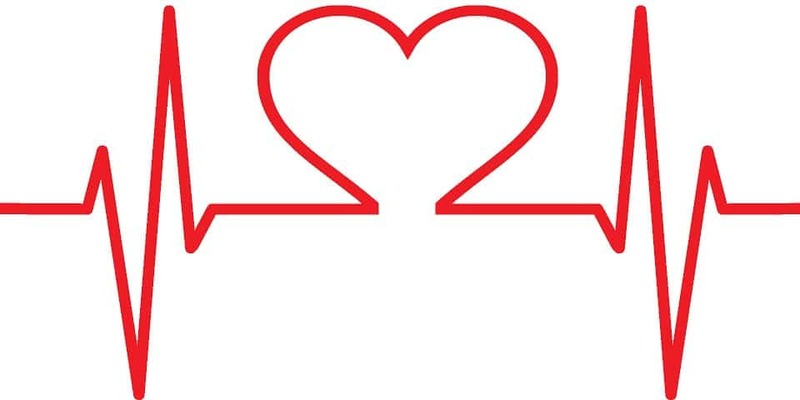 Skating is good great cardio – According to the CDC, heart disease is responsible for 25% of the deaths in the U.S. It is recommended that everyone get at least 30 minutes of aerobic exercise 5 days a week, but most people don’t. But if you pick an exercise you enjoy, like skating or playing a sport, then you’ll be much more likely to stick with it. 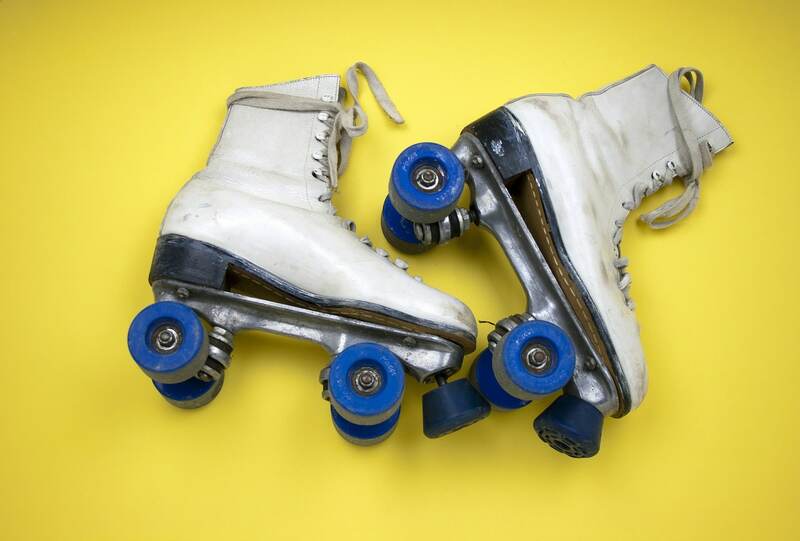 Skating burns calories – On average, skating burns roughly 528 calories per hour. That’s high for a such a relatively leisurely activity. Skating builds core strength – Nobody likes doing crunches, and skating is a great alternative! Maintaining balance on skates takes more than just leg muscles, it also engages your core abdominal muscles. Skating is low impact – Skating is less harsh on your joints than activities like running. This also makes roller skating a good physical activity for skaters of all ages. Skating builds leg muscles – No one likes leg day (that’s part of the reason there are so many jokes about it). Thankfully, skating is a great workout for your legs too. Sign up for our newsletter to stay up to date on all the latest skating rink tips and industry news to keep your skating center running smoothly. And of course, make sure you are well stocked on all the latest skates, skating rink equipment, and novelty toys for your skating rink. 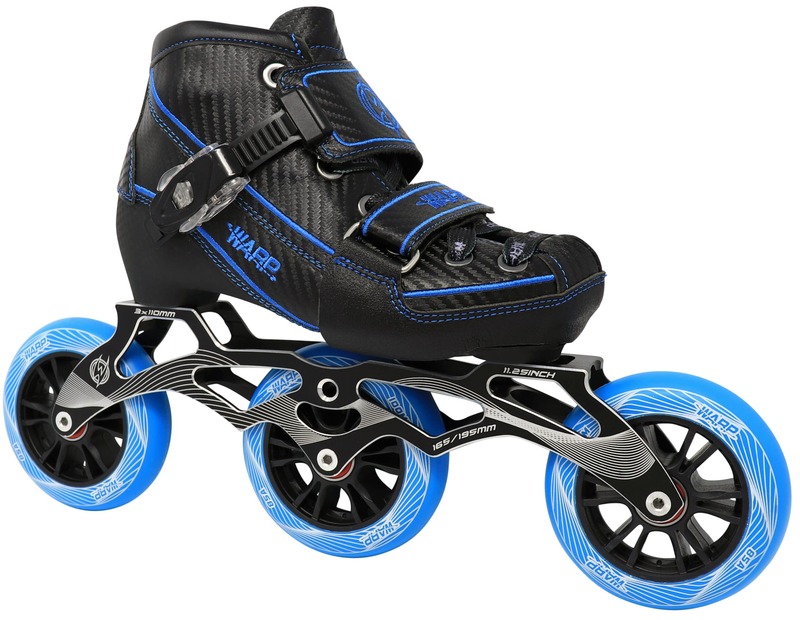 The Warp is a brand new inline speed skate for younger skaters. They come in blue or pink versions. The wheels are 85A hardness. 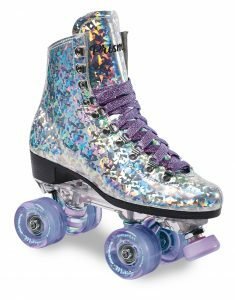 This is a good option for the smaller customers to get into speed skating without spending too much money. The Prism is a new skate from Sure-Grip with a unique shiny prism look to the boots. 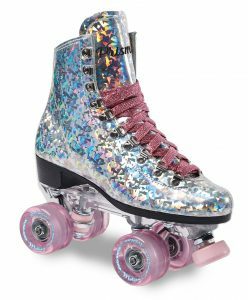 They’re somewhat similar in quality to the Stardust skates. The plates are clear nylon and the wheels are the outdoor Motion wheels. The boots are “pink confetti” or “purple lavish”. These are going to be a good choice for skaters that do not want to blend into a crowd. They are available in men’s sizes 5-9 and only for a limited time. Make sure your pro shop employees know how to help a first-time skate-buyer find the right skate for them. You don’t want a new skater to become discouraged because of an ill-fitting boot or the wrong mount! Skates should fit the same way shoes do. Ideally, you’re generally looking for about 1/4″ to 1/2″ between the front of the boot and your big toe. Different brands and models run slightly differently, so it’s a good idea to check a brand specific sizing chart before ordering. If boot size is a concern, talk to your customer about buying a boot before buying an entire custom skate (so that they can return the boot if it doesn’t fit). Also, make sure your customers are wearing proper socks when trying on skates! Short mounts are often used by Derby skaters. New skaters tend to feel less comfortable on this mount. 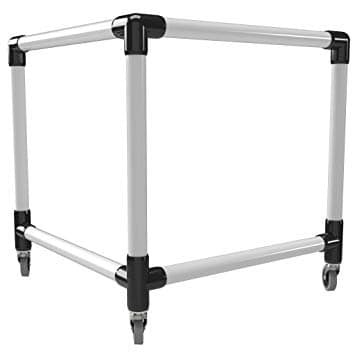 Regular mounts are generally the preferred mount for new skaters. Long mounts are generally reserved for jam skaters to make tricks easier. What Size to Buy for Growing Children? 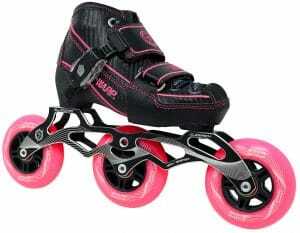 Of course, fitting skates for young skaters can be very difficult as children as constantly growing! That’s why we’re so excited about Warp Skates. Warp is an adjustable youth inline speed skate that comes in two sizes. Small Warps adjusts from sizes 12J-2 and large Warps adjusts to sizes 2-5. With Warp, parents can feel confident knowing that their child won’t quickly outgrowth their skates. To stay up to date on the latest skates and skating center equipment, sign up for our newsletter now! Skating is a great activity for people of all ages, but kids take to it especially well. Kids can actually start quite young – depending on the child and their level of coordination, sometimes children even as young as 2 or 3 can skate! To make their first attempt at skating an enjoyable experience, start young kids off with Skate Mates! They’ll be able to practice their skills while still having some stability – similar to training wheels on a bike. Trainers are also a great way to bring in a little extra money in by charging an additional rental fee. They can be especially profitable if you plan a few events catering to preschool aged children. What are Skate Mates Skate Trainers? Skate trainers help younger skaters feel confident on the rink by adding a little extra stability. Essentially, Skate Mates are like little podiums on wheels that come in 4 sizes (X-Small, Small, Large, and X- Large). The skater stands inside the right angle of the trainer so that they can put each hand on the sides of the trainer. The skater can then push the trainer around the rink with them to help stay stable and get comfortable being on the rink. Make sure your skate center is well stocked with all the latest skates, skating rink equipment, and novelty toys for your prize center! Don’t forget to sign up for our newsletter to stay up to date on all the latest styles, industry news, and everything you need to know to keep your skating center running smoothly. And don’t forget the Skate Mates Skate Trainers! Earning tickets at the arcade and trading them in at the redemption counter was one of the greatest joys as a child! So make sure your prize counter is well stocked with all the best novelty toys to keep your young guests happy and coming back! Whoopie Cushion – A nice big whoopie cushion is every pranker’s favorite. A good whoopie cushion is sure to bring a laugh when deployed on the chair of an unsuspecting friend. 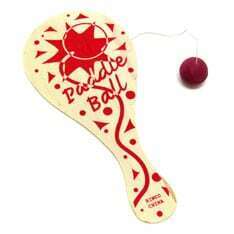 Paddle Ball – This old favorite is a classic! It even helps improve hand-eye coordination along with just plain being fun! Jack and Ball Set – This classic game can trace its origins all the way back to ancient Greece and the game of knucklebones. Today’s version is made of rubber and plastic, but it is just as fun! There’s a reason this game has been so popular for so long. Temporary Tattoos – Temporary tattoos are fun to apply and wear! Mood Rings – These groovy rings first became popular in the 1970s, but kids today love them just as much. Color changing rings are fun, and there’s a reason they’ve been popular for over 4 decades. Candy Necklace – One part candy, one part toy, and one part children’s fashion accessory, candy necklaces are a fun way to snack and show off your winnings! Along with skates and rink equipment, Southeastern Skate Supply has a ton of great novelty items available for your skating rink arcade. Order yours today!